Summer 2017 will see the launch of Engage Android application. We anticipate to have the beta version ready for testing in July. What will the Engage app allow users to do? The first version of our native mobile app will be limited to Return to Work interviews. It is aptly nick-named the ‘RTW tool’. We know a lot of our users spend a lot of time on the road and work at multi-site organisations where access to a computer is not always available. 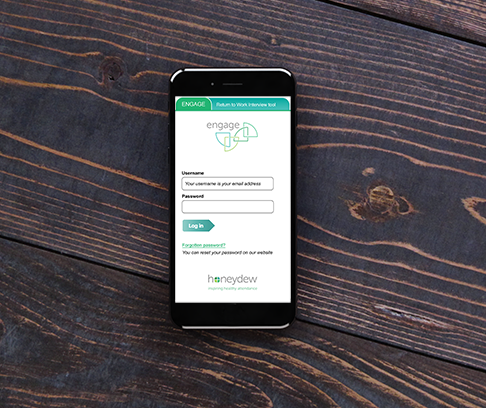 To help these operational managers and supervisors manage employee absence effectively, we’re making the RTW form available in a mobile app. The first version of our mobile app will be launched in Android because more than half of our mobile users are on the Android platform. Once the beta testing is complete and the alpha version of the Android app has been launched, we will focus our attention on an iOS version of the RTW tool. The RTW tool is available to all registered managers and supervisors. All managers currently using the web application will be invited to download the beta version and submit their feedback. If you’d like to become a beta tester, contact us to be notified when the app is available to download. You need to be an existing user on Engage, have an Android device and a Google account to participate. The RTW tool may not be the end of the road for Engage for mobile. Depending on the feedback we get and how popular the app proves to be, further features will be considered. If you have any suggestions on what to add to the mobile app next, get in touch!